Saving your Passwords in Internet Explorer? IE limits security and convenience. RoboForm doesn’t. Creating strong and unique passwords using pure brain power takes time and effort, which is why most people settle on easy-to-remember and easy-to-guess passwords. IE uses Windows 10 Credential Manager, which neither generates passwords nor detects duplicates. Windows Credential Manager only supports IE, Edge, and Windows applications. Passwords do not sync outside of Microsoft supported browsers and mobile applications are not compatible. Securely sharing a password saved within IE just isn't possible. 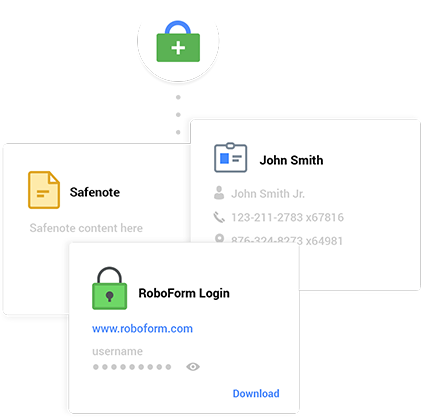 With RoboForm, whether a single Login or multiple Logins, sharing is secure and simple. RoboForm's Security Center keeps your passwords in tip-top shape. 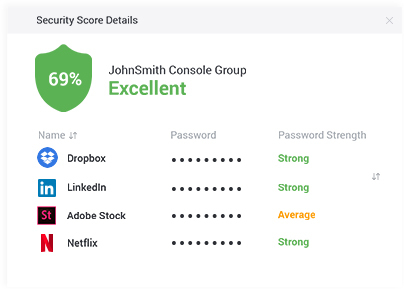 You can audit your existing passwords, view any duplications that may occur across various sites, and make improvements to increase your security score. RoboForm is supported on Windows, Mac, Linux, and Chrome OS. 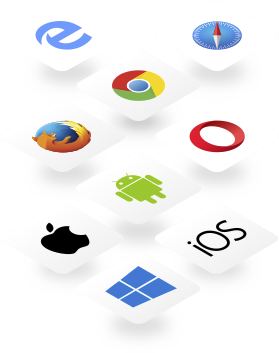 Data is accessible across all major browsers, and AutoFill is even available for supported mobile applications! Life happens. RoboForm's Emergency Access feature lets you grant a trusted contact access to your RoboForm data in the event of death, incapacitation, or simply as a method of account recovery.